The Strategic Plan provides direction and focus to our Benchers and the entire organization, including a framework for decision making, resource allocation and priority setting. The Strategic Plan Task Force looked at our foundational principles and determined what they could be in the future. 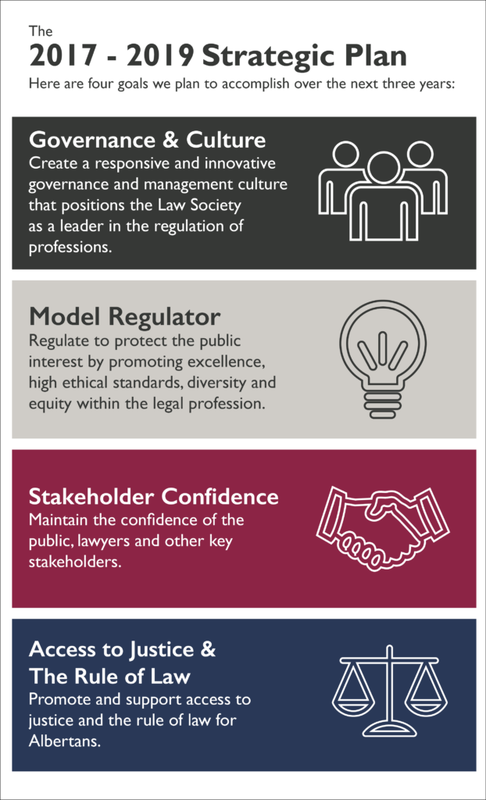 The 2017 – 2019 Strategic Plan will guide our activities over the next three years as we strive to achieve our four main goals: strengthening our governance and culture; being a model regulator; improving stakeholder confidence; and ensuring access to justice and the Rule of Law. Click the image below to view the entire 2017 – 2019 Strategic Plan.